North Ridge Farms Homes for Sale | Crestwood, Kentucky | North Ridge Farms Real Estate | Louisville MLS | Joe Hayden Realtor - Your Real Estate Expert! View all North Ridge Farms Homes for Sale on the Louisville MLS listings below! 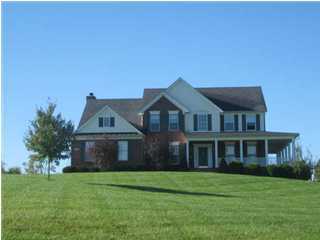 North Ridge Farms real estate is located off of Highway 22 and Highway 393 near Crestwood, Kentucky in Oldham County. The subdivision of North Ridge Farms features lots typically over one acre in size giving the neighborhood an open, spacious feel. With just over 65 homes found in the development, North Ridge Farms is designed as a small, but desirable subdivision with a peaceful community feel. Just a short drive out Interstate 71 from Downtown Louisville, homes in North Ridge Farms can be a great place to live. Homes for sale in North Ridge Farms range in price from $250,000 to over $400,000 and many of the homes feature brick and vinyl construction. North Ridge Farms homes are mostly custom-built with open, modern floor plans, upgraded kitchens, large master bathrooms, and spacious basements. Some of the homes in North Ridge Farms also have finished basements giving home owners extra space for entertaining, extra bedrooms, media rooms, and additional storage. The subdivision of North Ridge Farms has several incredible benefits for residents such as having two schools literally within walking distance of the neighborhood - Locust Grove Elementary School and East Oldham Middle School. In addition, the subdivision is right next to Crestwood, Kentucky giving residents easy access to fast food, grocery shopping, plus basic amenities. By traveling on I-71, residents of North Ridge Farms are able to get to Louisville quickly for work, entertainment, plus additional shopping. When thinking about buying a home, you should give consideration to buying a home for sale in North Ridge Farms. 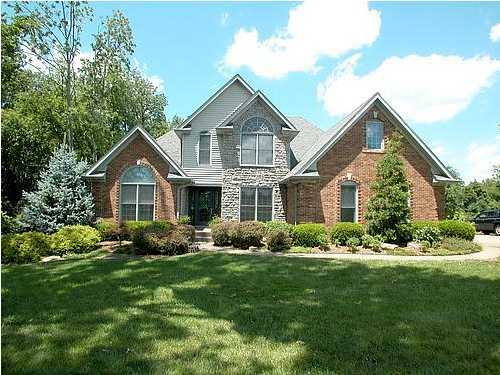 You can search for all North Ridge Farms homes for sale in the Louisville MLS listings below.